I had really high expectations for this book because I had heard so many great things about it, from book bloggers and booktubers alike. Nonetheless, when I started to read it, I felt disappointed because it wasn’t as good as I thought it would be. I couldn’t get into this book and I even stopped for two month after the first half before finishing it, because I wasn’t enjoying it that much. When I picked it up again I got a lot more into it, and after finishing it, I do plan to continue with the series. When I started to read this book, I felt like nothing was happening and I was just a little bored for the first half of it. The writing was good, the multiple POV’s were different from one another, and I know this part was supposed to show us the different actions and decisions that set the war in motion, but I just didn’t find it entertaining enough. I felt like that first half of the book could have been used for world building, because we don’t get that much of it. Even so, the little world building the author gave us in this book was really fascinating. While she wrote from each characters point of view, she gave us some information about the kingdoms, their beliefs and the style of each ruling family, which was great. And I think if we learn more about the world in the next books, it could be one of the strong points of this series, especially, the magic system with the watchers and the sanctuary, because they give the story a unique touch. On the other hand, I couldn’t connect with the characters, I found them annoying most of the time, and I found little consistency in their actions. Also, I had problems with some of the relationships in the book; there was a relationship that felt like instalove to me, and I’m not a fan of that kind of relationships at all, and a relationship that even when it wasn’t really incestuous, it had elements of it and I just didn’t enjoy it. But I do have to recognize that are some very complicated dynamics between some characters that are interesting to read about. The end of the book had more action, and even when something really predictable happened, some characters in the story had already seen that what was going to happen was predictable, so it didn’t take away from the story because the same characters admitted it. And at the end, some very surprising alliances are made and they hint to what’s to come, and they create a good ending that lets the readers intrigued about the rest of the series. 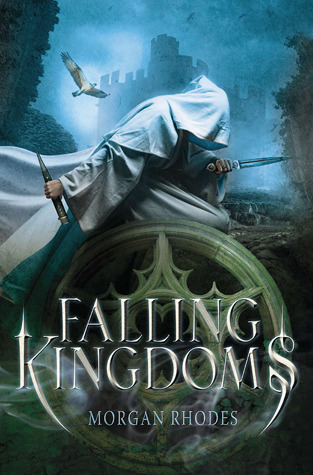 So what I would say about this book is that it was definitely full of intrigue, betrayal and lies, it has a good writing style, and an interesting world and magic system, and even if it wasn’t as good as I was expecting, the rest of the series sounds promising. I had the exact same thing happen to me. I picked up the book, made it around halfway, set it down for months and picked it back up and started really enjoying it. I really think that the series has gotten better, with each book being better than the previous. I hope you enjoy the rest of the series when you get around to it.